Opened in 1996, San Sebastian Winery is a family-run corporation that has evolved into an industry leader since the company was originally formed in 1983 by the Cox family. With over 18,000 square feet, 40,000 gallons of wine storage capacity, and an automated bottling line capable of bottling up to 15,000 bottles per day, San Sebastian remains the second largest winery in the state of Florida. Housed at 157 King Street in downtown St. Augustine in a building originally constructed by Henry Flagler in 1923, San Sebastian embodies the historic feel of the nation’s oldest city. Upon arrival, knowledgeable wine attendants enthusiastically greet the over 160,000 visitors they receive each year with a smile and cater to their total wine experience. San Sebastian Winery offers complimentary tours and wine tasting seven days a week and their extensive gourmet gift shop offers all of San Sebastian’s wines and many unique wine accessories, gourmet food products and customized gift baskets. ‘The Cellar Upstairs’ wine and jazz bar is located on the third floor of the winery. You can purchase delicious appetizers to accompany your favorite San Sebastian Wines, as well as imported and domestic draft or bottled beers. Relax and take in the spectacular views from the open-air deck while listening to live music every Friday, Saturday and Sunday. The native varieties of the red Noble, bronze Carlos and Welder Muscadines are all grown for San Sebastian at the 127 acre Lakeridge Winery Estate; with and an additional 450 acres owned at Prosperity Vineyards in the Florida panhandle, and 200 acres under contract throughout Florida. 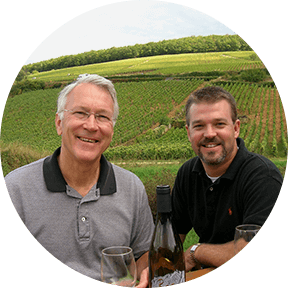 Their wines now available in over 1,500 wine shops and supermarkets throughout the state of Florida and parts of Georgia. Structured under the private corporation, Seavin, Inc., with Gary Cox as Founder and Board Chairman, Charles Cox as President, Jeanne Burgess as Vice President and Director of Winemaking operations, Carole Cox as Secretary, and Mandi Enix as Treasurer; the Cox family and San Sebastian Winery have always maintained a strong commitment to produce quality wine, while providing a fun and educational experience for everyone and will always remain Dedicated To Your Good Taste.